Episode 46: How to Help Your Friends To Be HealthyEpisode 47: Is Your Body Giving You Signs To Get Healthier? 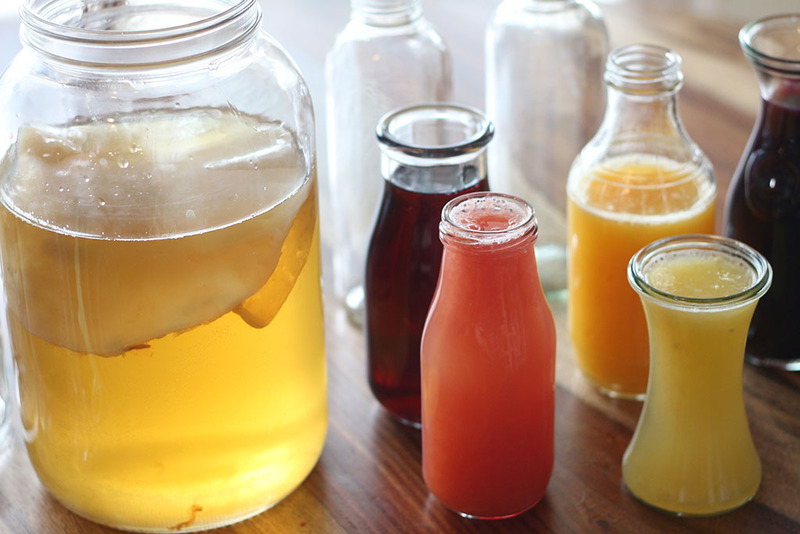 Is kombucha good for you? Is it alcoholic? As of late, kombucha has been getting a lot of press. Kombucha has become a 0.6 billion dollar industry and is expected to reach 1.8 by 2020. It is causing quite a stir in the beverage business. Its popularity has grown strictly by word of mouth and is growing at an incredible rate. Even Pepsi is thinking of jumping on the bandwagon and making kombucha, as people look for healthy alternatives to pop. It's a hard thing to bring a new product to the beverage industry, the competition is fierce and many would like it to fail. 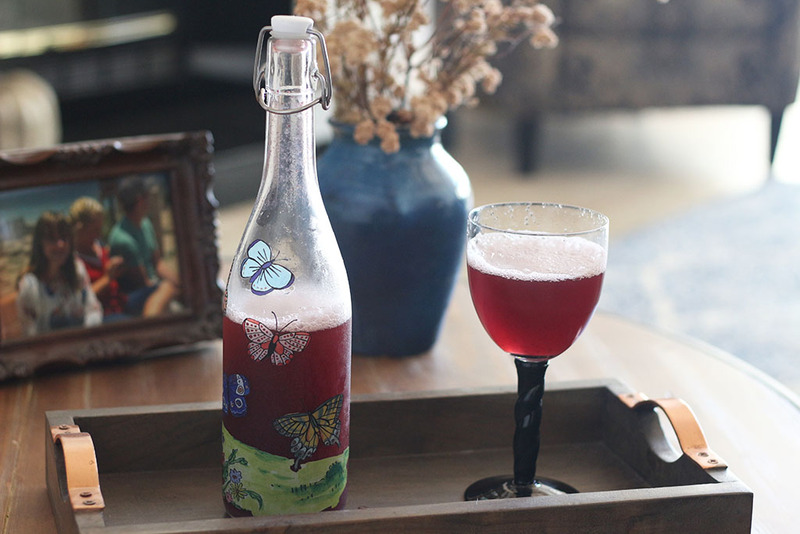 Kombucha continues to grow as people find the benefits it brings them. There are controversial articles circulating about kombucha, and that's when I start getting emails from people who don't know who or what to believe. I always shoot straight with you. I don't write sensational blogs about dangerous foods and topics to drive traffic to my site; but the truth is, nobody knows jack diddly about what's right for YOU. YOU are the wisest person concerning your own diet and what food and drinks you should consume, and not me or anybody else. We have lost our way in all this, and stopped trusting and looking for our own guidance, and honestly I don't know how we even decide what to eat anymore! They've demonized everything, for goodness sakes! Everybody has a different idea about what's right and it's getting worse by the day. I'm going to give you my opinion about kombucha and my years of experience with it, but I encourage you to test it out on your own body and make your own decisions. I've been drinking kombucha for almost two decades. During year two, I stopped drinking kombucha for three months because I, too, read an article online from someone supposedly in the know who thought it was bad for you. In those three months, some of my joint pain came back, I started feeling tired and sluggish in the late afternoons and I didn't have as much energy overall, and my hormones got out of whack, so I started drinking it again and all these symptoms went away. I saw it help my family, too, and it is the first thing we reach for when someone has a sore throat or feels tired and run down. The power it has to detoxify me and help balance my hormones is so noticeable, I simply couldn't ignore the help I received from drinking it. From my own self-experiments on my own body, I have found kombucha to be of great benefit for certain afflictions. Check out the 7 Reasons I have kombucha every day. Those who are saying that kombucha is alcoholic don't understand the fermentation process nor the science behind kombucha. I have had several people on my forum who have tested their alcohol levels with a breathalyzer and came up with zero alcohol and many others found the same results. One person drank a gallon of kombucha in a sitting and he, too, found nothing really registered on his breathalyzer, but then found he was detoxing like crazy since he wasn't very healthy to begin with. I don't recommend trying this! You'll be in the bathroom — believe me! Here is my take on all this. The only time kombucha can even have a slight bit of alcohol is when you second ferment it with fruit juice. Since fermentation is required to make kombucha, the drink generally includes a trace amount of alcohol, but so does yogurt and other foods. Even orange juice has alcohol. 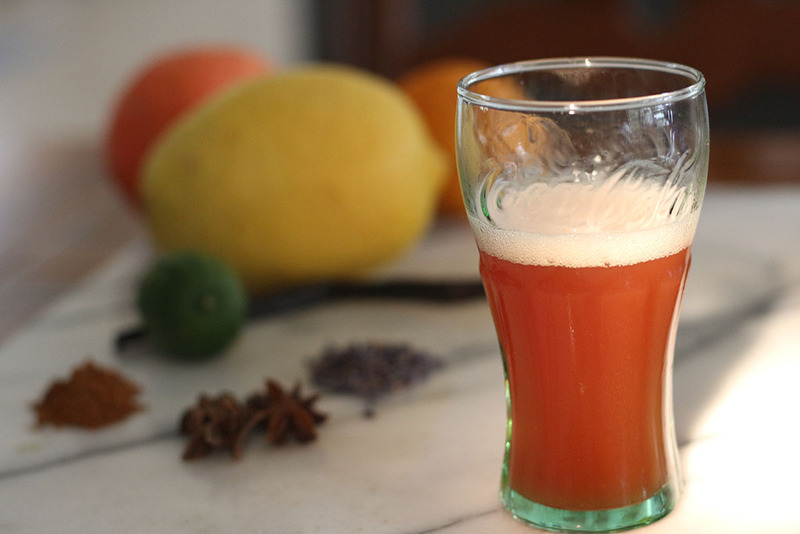 About two ounces of juice is usually used to second ferment kombucha. While it ferments, it can create a little bit of alcohol; but then as it continues to ferment, it subsides. And given a long enough fermentation cycle, kombucha turns to vinegar. The feds tried to take kombucha off the shelf. U.S. Rep. Jared Polis wrote a letter to John Manfreda, head of the Alcohol and Tobacco Tax and Trade Bureau, asking the agency to back off. Polis argues that bottles of kombucha consistently test below the 0.5 percent mark when cold and that they can exceed this limit when they are improperly stored at higher temperatures. "Eight spoiled kombuchas are roughly the equivalent of one beer, but that doesn't mean we should regulate it like we do alcohol — it makes absolutely no sense," Polis wrote. "(The) current testing method often confuses organic acids and naturally-occurring sedimentation for ethanol, which increases the reading of the alcohol content to a higher percentage than is actually contained in the product," Polis noted. Kombucha has a powerful probiotic: This is actually a probiotic yeast called Saccharomyces boulardii. We need not only good bacteria, but good yeasts as well to keep us in balance. S. boulardii is unrelated to the yeast Candida albicans and other Candida species, and is one of the most researched probiotics. It is the number one probiotic used in hospitals worldwide. S. boulardii is absent from the natural gut since it is a transient yeast that passes through the intestines after ingestion. If taken every day, it achieves a steady stream in the colon within 3 days and is cleared from the stools 2–5 days later. 1 It does not attach to the mucosal cell lining, but works its magic on you as it moves through the gastrointestinal tract. When S. boulardii is present, it inhibits toxins from binding to intestinal receptors and steals the metabolites it needs to survive. Thus many pathogens pass out of the body unable to survive in the presence of this powerful probiotic. Kombucha's preventive effects on heart, weight, cholesterol, and blood glucose. There is a new study on kombucha, published in the Journal of Food and Science.9 The research was carried out to understand the preventive effect of kombucha on heart weight, blood glucose, total protein, lipid profile, and cardiac markers in rats with heart damage. They found that kombucha tea significantly decreased cholesterol, triglycerides, LDL and VLDL while increasing the levels of HDL. Similarly, a decrease in leakage of cardiac markers from the myocardium was also observed. When I posted this on my Facebook page, several people commented that their cholesterol levels had gone down, and quite significantly, since they started to drink kombucha. 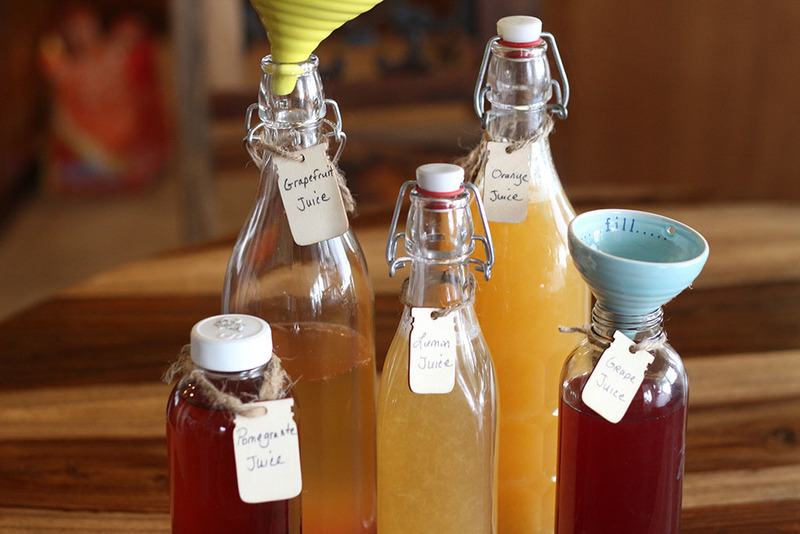 Kombucha is fun to make and I can show you how. I encourage you to discover the power that fermented foods can bring to your life. Kombucha has had a tremendous influence on my life and when something like this impacts you, you want to share it. I can literally drink a bottle of kombucha and feel it lift my sense of well-being. That being said, you must trust yourself about the things you eat and drink. Test them and see how you do. Your body is a magnificent machine and takes everything you eat and drink and tries to assimilate it the best way that it can. Discover the things that work best for you and watch your body shine! Grocery stores and health food stores sell many different brands of kombucha, and they are delicious! Generally speaking, they aren't nearly as strong as homemade kombucha. You'll also have lots of cultures to share with your friends. You just need a culture, which can last forever if you take care of it, and some tea and sugar. That's why I recommend that you get a kombucha starter and make it yourself! Plus, it's cheaper to make it in the long run, because you'll have an endless supply of kombucha starters. 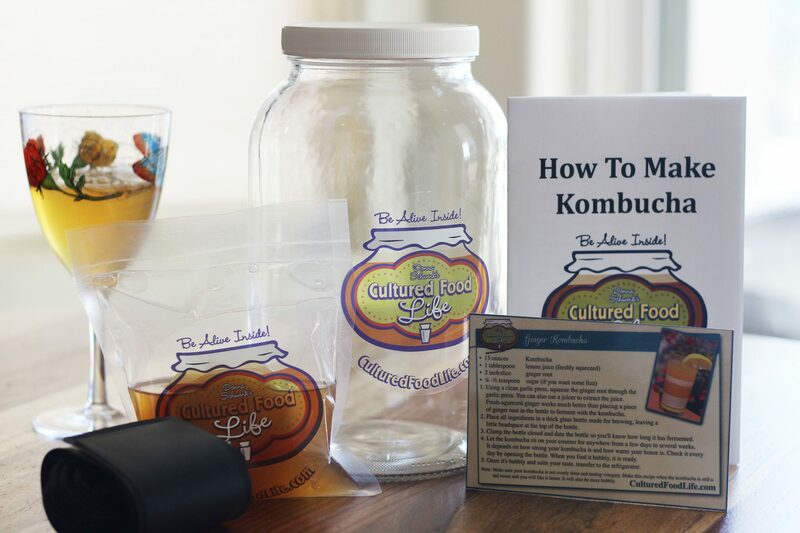 If you live in the USA, you can purchase my personal Live Kombucha Starter from my store. Otherwise, you might try checking one of these websites. 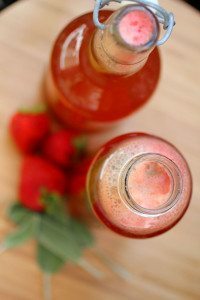 Kombucha is fun and easy to make! I put together some easy instructions on making kombucha, check it out! S. Fallon, Nourishing Traditions (Washington, D.C: New Trends Publishing, 1999): 596. Dufresne and E. Farnworth, “Tea, Kombucha, and Health: A Review,” Food Research International 33, no. 6 (July 2000):409–21: abstract at https://www.sciencedirect.com/science/article/pii/S0963996900000673. O.A. Gharib, “Effects of Kombucha on Oxidative Stress Induced Nephrotoxicity in Rats,” Chinese Medicine 4, no. 23 (November 2009): https://www.ncbi.nlm.nih.gov/pmc/articles/PMC2788564/pdf/1749-8546-4-23.pdf. C.H. Choi et al., “A Randomized, Double-blind, Placebo-controlled Multicenter Trial of Saccharomyces boulardii in Irritable Bowel Syndrome: Effect on Quality of Life,” Journal of Clinical Gastroenterology 45, no. 8 (September 2011): 679–83: abstract at https://www.ncbi.nlm.nih.gov/pubmed/21301358; S. Uhlen, F. Toursel, and F. Gottrand, Association Française de Pédiatrie Ambulatoire, “Treatment of Acute Diarrhea: Prescription Patterns by Private Practice Pediatricians,” Archives de Pédiatrie 11, no. 8 (August 2004): 903–7: abstract at http://www.ncbi.nlm.nih.gov/pubmed/15288079. 14 Responses to "Is Kombucha Good For You?" When we heard about Feds getting involved with regulation of kombucha we had the same reaction! How crazy is that? I wonder if it’s related to the rapid decline of corporate soda sales.. I like making and drinking kombucha, about a year now. During the day I can consume a 10 oz. glass up to almost 1/2 gal per day on physically active days. Folks tell me that I can become sensitive to the “stuff” in kombucha and will not be able to drink it anymore. I make it with black tea (4-5 bags/gal) and recently began mixing black tea with hibiscus tea, it’s great! Can one build a sensitivity to kombucha??? Should I be consuming less??? I feel great and the detox events ended long ago. Thanks in advance for your followup. The founder of GT’s synergy kombucha drinks about a gallon a day to test his batches and is nothing but healthy. I’m so excited to have found your web site by “accident.” I’ve dabbled in cultured foods, quinoa milk kefir and cultured veggies, but had to quit for 4 months while our house was remodeled. Your web site is so inspiring and motivating, very colorful and so much information. I can’t wait to order my grains and scoby. I’m waiting for the temps to drop to the low 70s, which should be week after next, if the cold front comes like it’s supposed to. Is this temperature still too high for shipping, or do I need to wait til it drops to the 60s? Cold doesn’t harm the cultures like heat does so you should be fine. What is a minimum amount needed to be drunk each day to give health benifits , please . I recommend 4 to 16 ounces. Fabulous article. Does kombucha have any affect on arthritis that you are aware of? You mention drinking every day. When and how much? I would be buying bottles, not making my own. The starter thing just makes me gag to look at it! Sorry!! It does help with arthritis by removing toxic compounds from the joints and I write about this is my new book Cultured Food for Health. Any thoughts about the acid content in kombucha? I’ve read that it can cause acidosis. Thanks for your work. I appreciate it. Thank you, Donna, for your articles. I love reading them! Just ordered your new book. About kombucha, I read that if it is not acidic enough, it can really make you sick. This has been my hesitation. Any feedback? Thank you for posting this article. My question is: unless my SOBY is moldy or something obvious like that, can I be sure that my kombucha is safe? I have read that some black teas have a high fluoride content. I try to use organic white tea, which has a lower content, but it is hard to find. Do you have any suggestions to reduce the amount of tea in the brewing process, or any other suggestions for a type of tea?